The American College of Physicians has published new guidelines in the Annals of Internal Medicine for the treatment of obstructive sleep apnea. Obstructive sleep apnea is a serious medical condition that affects one in five adults in America and is characterized by snoring, irregular breathing patterns or a choking sensation during sleep. Sleep apnea has been linked to stroke, heart disease, heart attacks, diabetes and certain types of cancers. According to the new guidelines the top priority is weight loss. Doctors “should encourage weight loss in obese patients because obesity is associated with increased risk of OSA, and weight loss may reduce OSA symptoms and has many other health benefits,” write the authors of the guidelines, led by Amir Qaseem, MD, PhD, and director of clinical policy at ACP, in Philadelphia, Pennsylvania. The weight loss plan should be combined with other treatments, such as CPAP, as the improvement expected from a weight loss plan will take time to accomplish. 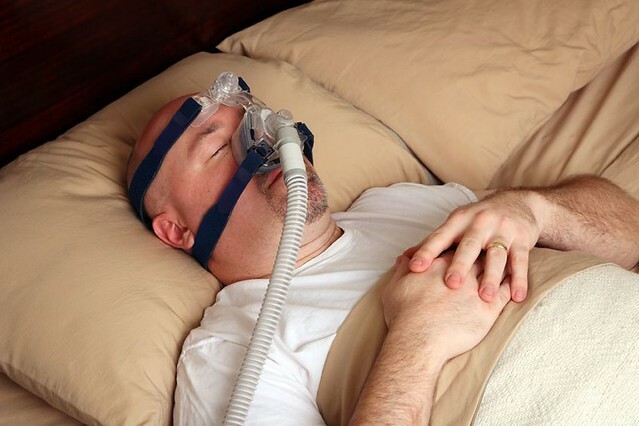 The American Academy of Sleep Medicine added their seal of approval to the new guidelines, but added a warning: “However, it is important to emphasize that weight loss should be combined with another OSA treatment such as CPAP, because of the low success rate of dietary programs and the low cure rate by weight loss alone,” the AASM cautions.